Are you new to the district, or are you changing schools? If so, it's time to update your ListServ subscription! 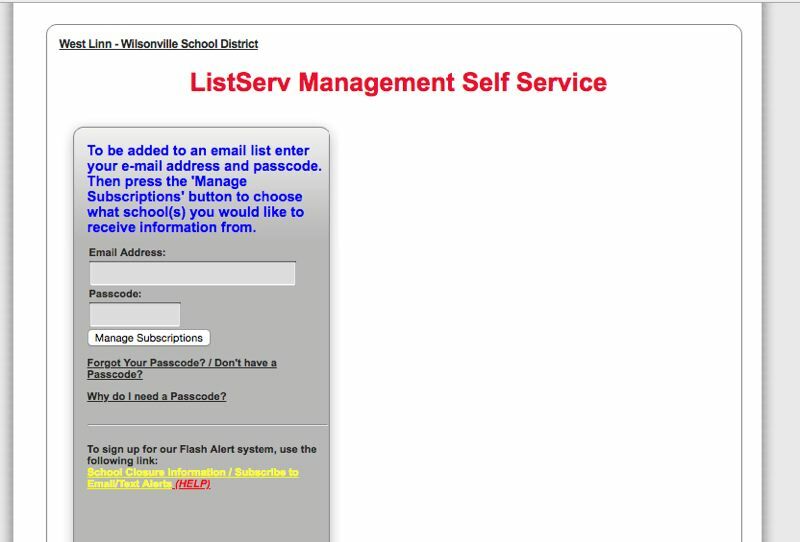 ListServ is the primary method that West Linn-Wilsonville schools communicate with families, sending regular newsletters, timely information, and even emergency notifications. To sign up to get news from your school, simply go to www2.wlwv.k12.or.us/News/LatestNews/ListservSS/ and follow the directions. Don't forget to subscribe to WLWV Homes to get information from the district office!